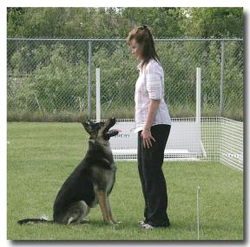 Club Info - German Shepherd Dog Club of Manitoba, Inc. The GSDC of Manitoba, Inc. is non-profit organization run by its membership. ​and it offers yearly Obedience and Conformation Awards to the membership. but the Club’s primary purpose is to be representative of its members in Manitoba. The Club Year runs from September to September, commencing at the Annual General Meeting. Once payment has been processed, your membership will be validated. All new members to the GSDC Manitoba will be Associate, and will advance to Regular membership after one year. Associate and Regular members must be at least 18 years of age. ​and to any other members upon request.